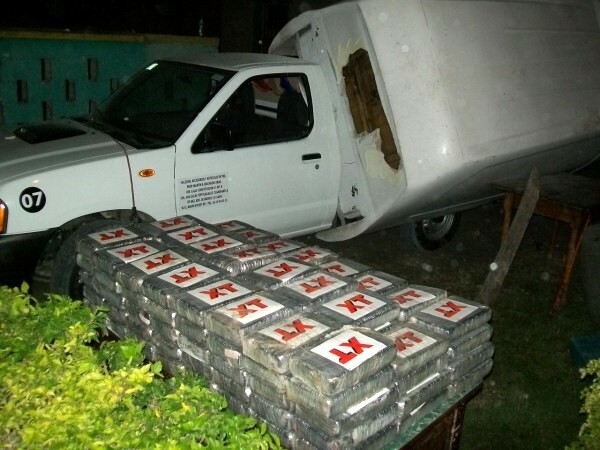 Corozal police have made a huge drug burst. According to the Belize Police Department, sometime around 6:30PM on Thursday, December 1st, police intercepted a vehicle with license plate Estade-Mexico-KY-90515 that was parked at the Santa Elena Belize-Mexico border. Police have detained a Mexican national 44 year old Martin Rafeal Urias, a sales clerk of Mexico City. According to Inspector of Police and Police Press Officer, Fitzroy Yearwood, the white Nissan pick-up truck was parked inside the parking lot of the Immigration Department. Based on intelligence Urias was intercepted by police when he attempted to exit the immigration facilities, heading towards his vehicle. Upon searching the vehicle, police discovered 111 parcels of suspected cocaine hidden in a compartment in the front portion of the camper of the truck. The drugs have an estimated street value of over Bze $1 million. Urias remains detained at the Corozal Town Police Station waiting to be charged for the crime of “Drug Trafficking” later this week. 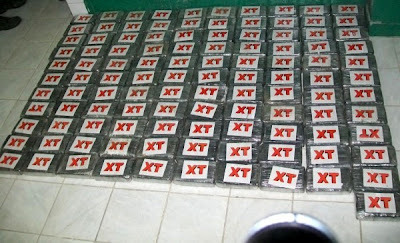 I commend the police officer and the Corozal Police Dapartment for being so observant on this drug bust.